After 40 years in business, one of our favourite stories associated with the Lazy Gourmet is still our history with the Nanaimo Bar, when Susan Mendelson’s recipe helped bring this local dessert to commercial success. 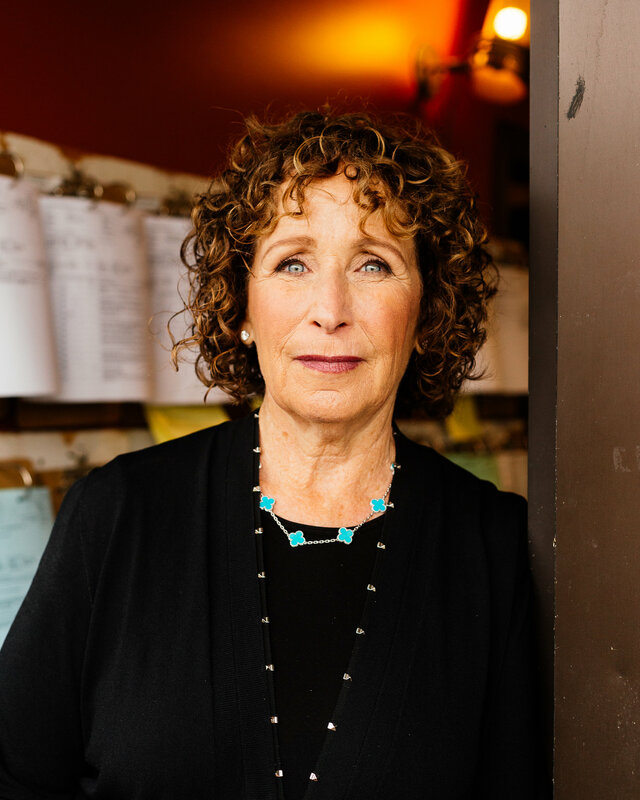 Susan has recently been featured in an article by The New York Times along with culinary experts Lenore Newman, Chef Anna Olson and Jean Paré! Click here to read the feature. 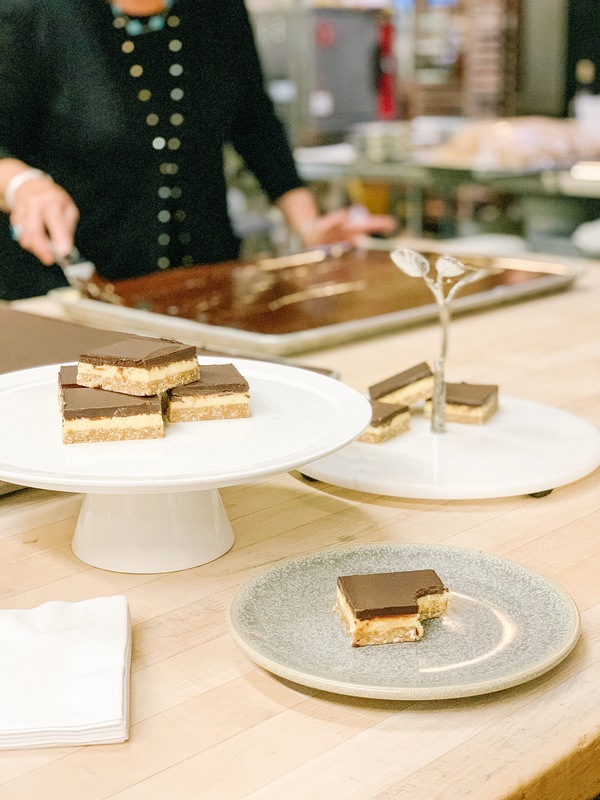 To celebrate, our pastry chef Rebecca is sharing a modern twist on this classic recipe, the Cappucino Nanamo Bar. Try it and enjoy! Spray 9×13″ sheet pan non-stick spray and line the bottom with parchment paper. Set to the side. Set a small pot 1/4 filled with water on the stove top to boil. Mix together butter, sugar and egg, in a medium bowl. Set over boiling water. Whisk until slightly thickened. Remove from heat and add in graham crumbs and coconut. Mix together until evenly distributed. Press mixture into prepared pan, pressing down firmly to spread evenly and form crust. Set aside in fridge to firm, while preparing next layer. In a mixing bowl, combine all ingredients for this layer. Mix together until light and fluffy. Remove pan from fridge and spread filling overtop of crust. Careful not to bring up the crust as you are spreading the filling. Make sure filling is in an even layer, place pan bake in fridge to firm while preparing next layer. Melt chocolate in a medium bowl, over hot water on stove top. Careful not to let the chocolate burn at the bottom of the bowl. Remove from heat and add in cream. Mix together until ganache is formed. It will get thick for a few seconds, but will smooth out when all cream is incorporated. Remove pan from fridge and pour ganache over filling. Gently spread ganache to fully cover filling. Place in fridge for 1 hour, or overnight, to firm all the layers.